You set your training goal, I get you there! 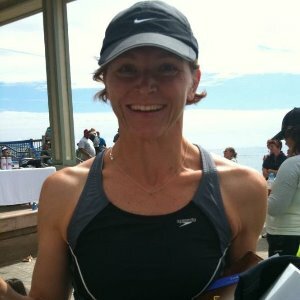 I am offering one on one coaching in San Jose, CA; virtual coaching for Sprint through full distance triathlon, running, obstacle race training. I specialize in swim technique, beginners and anybody who is interested to improve their race time! All I ask is your commitment and consistency, I'll take care of the rest! Mother of 3 children, active triathlete since 2010, Certified PT since 2013, USAT certified level 1 Coach since 2014, Spartan SGX level 1 Coach since 2016. I have been coaching in a group setting (obstacle and triathlon) as well as individually. I took my athletes from their first sprint triathlon through to their first half Ironman distance. I brought athletes back from injury and helped them pr in their races in the process. My goal for my athletes is to build a foundation of strength and endurance, develop skills, stamina and resilience to improve their performance every time they go on the course. I want my athletes to enjoy the sport for a long time and prevent burnout or injury. My approach is not to push hard to see results quickly but instead to build solid, long term relationships and enjoyment of the sport! All are welcome, I only ask for your commitment and consistency! Success. Coach Christina Hepper has been notified of your message.